The famous Battleship Texas, the battlefield where Texas won her independence, and a first-rate public golf course are among the many attractions in La Porte, Texas. Situated just east of Houston and a stone’s throw away from Baytown, Kemah, Pasadena, and Seabrook, La Porte is a quintessential Gulf Coast town with a great location and plenty to offer. 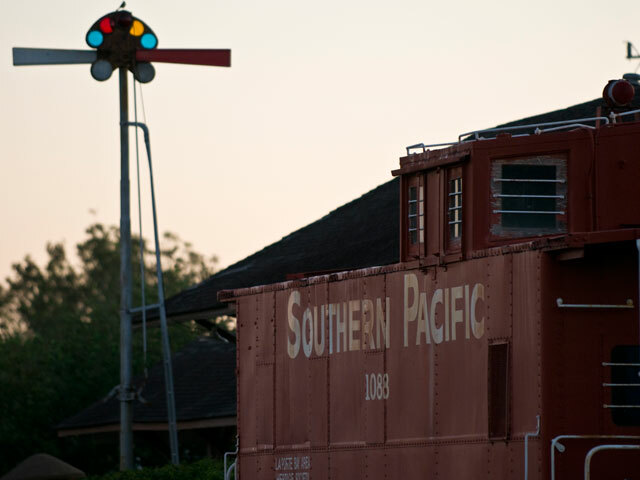 See La Porte’s attractions below and start planning your next Gulf Coast getaway here. 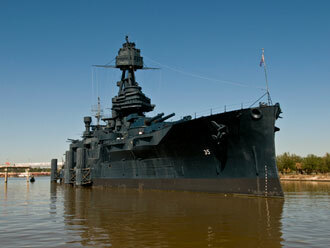 Climb aboard the Battleship Texas, one of the last remaining battleships that participated in World War I and II. Commissioned in 1914, the Texas served in both the Atlantic and Pacific theaters, taking part in D-Day and the landings on Iwo Jima and Okinawa. Today, you can explore the ship and check out exhibits detailing the lives and acts of heroism of her crew members. La Porte’s Bay Forest Golf Course delivers one of the most unique playing experiences in the Houston area. Spread across flat coastal terrain featuring verdant trees and an abundance of bayou-fed waterways, the course is as scenic as it is challenging. Named among the top 20 municipal courses in Texas by the Dallas Morning News, it’s a great reason to pack your golf clubs. Nestled in the heart of La Porte, Five Points Plaza is typically where many of the town’s events are held. Complete with fountains, free Wi-Fi, a performance pavilion, places to sit and relax, and space for public art, it’s a great hang-out spot even when there’s nothing going on. Art shops, antique stores, and restaurants can all be found in La Porte’s quaint Main Street district. In addition to the year-round shopping and dining, the area is home to many of La Porte’s main festivals, such as the Main Street Trade Days and Mardi Gras on Main. At the start of the 20th Century, La Porte was a major tourist destination commonly known as the “Coney Island of the South.” The train depot that brought so many visitors here is now the Old Sylvan Beach Depot Museum & Library, home to a collection of historical photographs and other artifacts from throughout the town’s history. In the late afternoon hours of April 21, 1836, the Texian Army led by General Sam Houston launched a surprise attack on the Mexican forces of Santa Anna that would end a war and create a new nation. Visit the spot where Texas won her independence at the state historic site, where the towering San Jacinto Monument resides. Visit the San Jacinto Museum of History at its base, then ride to the top of the 489-foot-tall tower to get a bird’s-eye view of the battleground. Discover the history and aftermath of the Texas Revolution at the San Jacinto Museum of History. Browse exhibits of art and artifacts that tell the story of Texas’ fight for its freedom, including firearms used in the war’s key battles. The museums’ scope goes far beyond the revolution, as it displays items from the past 500 years of Texas history. Want to hit the beach in La Porte? Pack your sunscreen and head to the Sylvan Beach Park, a nearly 32-acre park where you can swim in Galveston Bay and relax on two pristine white sand beaches. The park also has a boat ramp, bait shop, fishing pier, and skate park, leaving you with plenty to do.